When Ogier signed to drive a Ford Fiesta WRC for 2017, it was almost impossible to predict how things would play out. The service park hadn't been short on stories of how Ogier had enjoyed a cosseted life with Volkswagen. The Hanover team was his. Sure, Jari-Matti Latvala and Andreas Mikkelsen were along for the ride, but nobody was in any doubt about the number one, the golden boy. World titles buy you that status. But M-Sport's not that kind of place. Hang around after final service on an event and you'll see team principal Wilson or his wife Elaine make a final sweep of their place, tidying chairs, moving cups or picking up cable ties. Nobody is bigger than this team - not even the boss. As Ogier made the transition from one of almost 650,000 employees at the world's second-biggest carmaker to a corner of Cumbria where 300 folk work, there was some degree of trepidation within M-Sport. Before 2017's opening round in Monte Carlo, Autosport fielded more than a couple of calls from the Dovenby Hall HQ asking what Ogier would be like to work with. It was a tricky one to answer. His departure from VW was followed by stories hinting at high maintenance. In the end, nothing could have been further from the truth. Ogier doesn't come from a background of great wealth; his is a pretty ordinary, hardworking French family from the mountains. If there were any airs and graces, they were left at the door. From the moment Ogier and Ingrassia walked into Dovenby, they knew the score. That's not to say they weren't demanding - they were. But they picked their battles. Ogier was certainly not going to argue about the absence of a third or fourth PR person or the lack of a mezzanine level in the hospitality area. Or even the fact that he had to share crew room with any M-Sport customers competing - eating alongside a variety of private Fiesta R5 drivers kept it 'real' from early on. What did matter was the need for more torque from the engine. Or a new damper specification for Finland. Or an extra day of testing for Wales. Those things counted. Ogier fought those battles and usually won. "I don't remember Malcolm ever telling me no when I asked for something," he says. "When it came to the car, when it came to winning, he always found a way." Ogier had enjoyed good relationships with team management before. At Citroen, he and Olivier Quesnel worked well together, and he was on the same page as Jost Capito and Sven Smeets at VW. But they were part of a corporation, cogs in a wheel made to sell metal. In rallying, Wilson sees a different picture. And Ogier loved that. 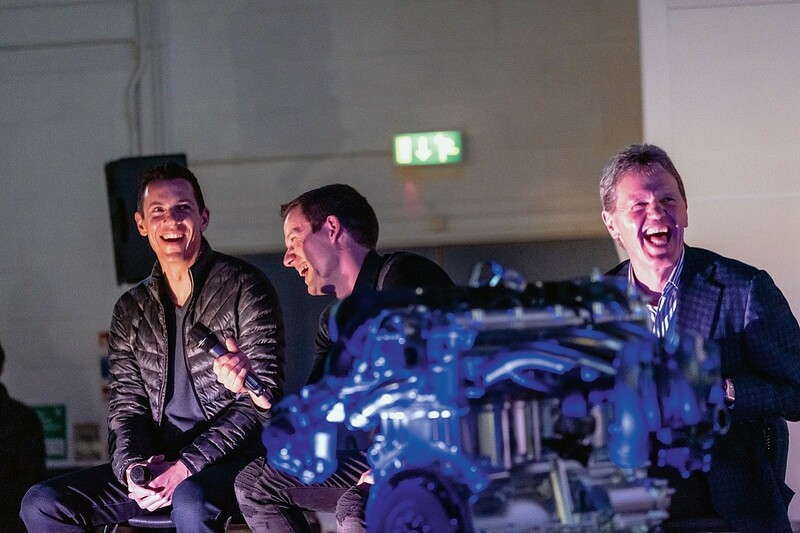 When Ogier and Ingrassia went to their first pre-season M-Sport team meeting, they were told they would be eating - along with Ott Tanak and Elfyn Evans and their co-drivers - at Wilson's house. "I didn't do that before," says Ogier, smiling at the recollection. "I'd never gone to my boss's house for dinner. Never. I was a little bit surprised..."
He shouldn't have been. That was Wilson's way of welcoming them and painting them into the picture. 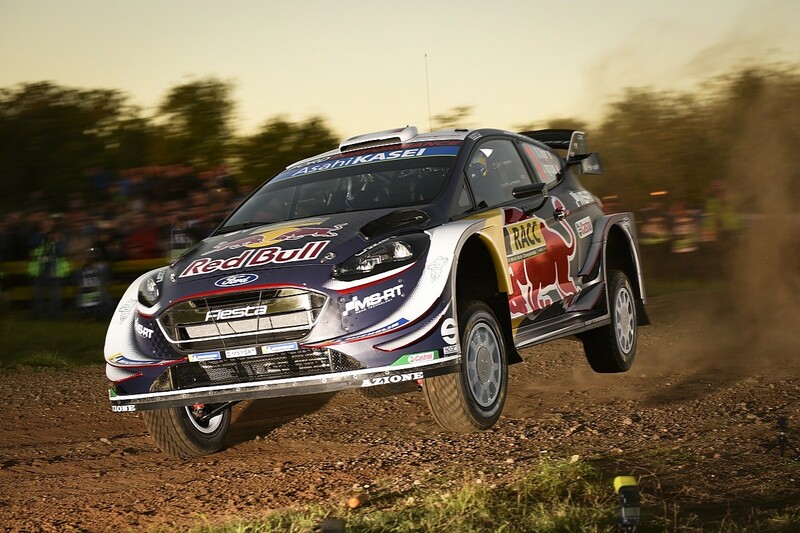 "It was fantastic," says Ogier. "The food was beautiful. Elaine is an amazing cook." Ogier's past two years with M-Sport have been a real journey. He's learned plenty about the economics of motorsport, seen a lot of life at the coal face. And he's got nothing but admiration for what Wilson achieves. When it was time to sign off from Dovenby, at a final get-together in early December, it was difficult to know what to expect. In the preceding weeks, we'd heard plenty about the human story that Ogier, Ingrassia and Wilson had forged while winning the drivers' and co-drivers' titles for the past two years - with the 2017 manufacturers' title in there for good measure. But it was now time to go. Compering the celebration, the ebullient Howard Davies had raised his glass and commanded a toast to the world champions. Briefly, it looked like the moment might have passed. Wilson had offered words full of feeling and wrapped in emotion. Ogier waited for the applause to die down. He wanted to say something, but caveated his words with the admission that he wasn't generally an emotional person: "Two years ago we were having some hard times. The team where we achieved so much and worked so hard had a new car for the future, but suddenly it stopped. It felt like the world was falling apart. "But like every time in life when you have this kind of thing, you have to overcome it. And, at the end, it was one of the best things that happened to us because it gave us all the opportunity to meet all of you and to be part of this family. We discovered feelings I probably didn't have before; everyone knows how much I respect Malcolm, but it's the same for all of you guys. Thank you." Standing in M-Sport's vast facility on a chilly winter's afternoon, Autosport had wondered how the place could generate any kind of an atmosphere. Even with close on 300 people standing, listening and clapping at every opportunity, we were in one corner of a big building. The moment would surely be lost to all that space. Not a bit of it. The electricity Ogier's words generated was just incredible. Tears gathered in the corners of eyes. Elaine's seen the stars come and go, from Carlos Sainz to Colin McRae, and Marcus Gronholm to Mikko Hirvonen. But these guys are special. "We've learned a lot from them," she says, "but I think they've learned from us as well. Seb talks about the human side of the story and that's what we're about, and maybe they've learned some of that about the feeling, the passion and the emotion that we've all felt for having them with us. "We've had this with a lot of drivers, but, you're right... these guys have been special." And, typically with M-Sport, they wanted to share the moment with as many people as possible - which meant some lucky members of the supporters' club were invited along. Jane Smith was one of them. "This means the world to me," she says. "I've said to all of these guys, today's better than my wedding day! I've had a rubbish year: I've had breast cancer, somebody crashed into my bloody car and I just thought, 'If anything else happens this year...' And then I got the call to say my name had been drawn from all of the [M-Sport] supporters. "This is the best thing ever. I think Seb and Julien probably thought, 'Who is this mad Englishwoman pouncing on me doing the continental kisses?' It's been awesome." 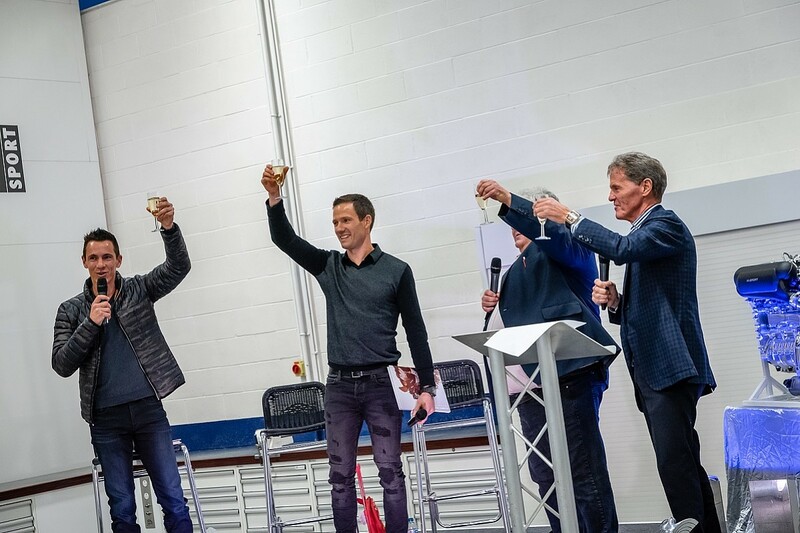 The irony of professional sport is that by the time they were saying their goodbyes, Ogier and Ingrassia had already tasted Citroen's C3 WRC in preparation for 2019. Analogies with partners playing the field were dispatched. Nobody was buying them. Ogier had been quite clear that his preferred option was to stay where he was. "We all know it was coming to a point where the support of a manufacturer [Ford] was not present enough with Malcolm and that was what was missing the most," explains Ogier. Wilson was perfectly clear from the outset. He could only fund this adventure for one year. He managed two. Commercially speaking, three would be suicide. He listened to his head. As these words are being written, the cost of those world titles and six WRC wins in two years is still being calculated in Cockermouth. And the cloth being cut to fit the coming season. Will M-Sport be in the world championship? Most likely, yes. But the chances of winning are drastically reduced - and that's no slight on Evans or Teemu Suninen, who are both fine drivers and great prospects. But neither of them is an Ogier. With the champions out of the door and off to the Wilsons' place for the last supper, the party, the moment and the era was over. But the mood was anything but melancholy. Cliched as it sounds, this started out as a celebration and remained as such. Rich Millener, Wilson's deputy on events, worked closely with Ogier and Ingrassia. As much as anybody, he's enjoyed the sunshine. And, in the knowledge that showers might follow, he made the most of it. "In lots of ways," he says, "I think we got this right. We've had two very, very good years with them, won two from two [drivers' titles] and three from a possible four [drivers' and manufacturers']. That's better than having them with us for longer, for five years or something, but only winning a bit. "It's tough when they've gone. We've got used to them being here and, of course, we've got used to winning. It's going to be difficult seeing them in a different team. In a way, it's quite hard knowing they've gone already; they're already working and testing with a different team. But we're not worried about that - we're better than Citroen!" 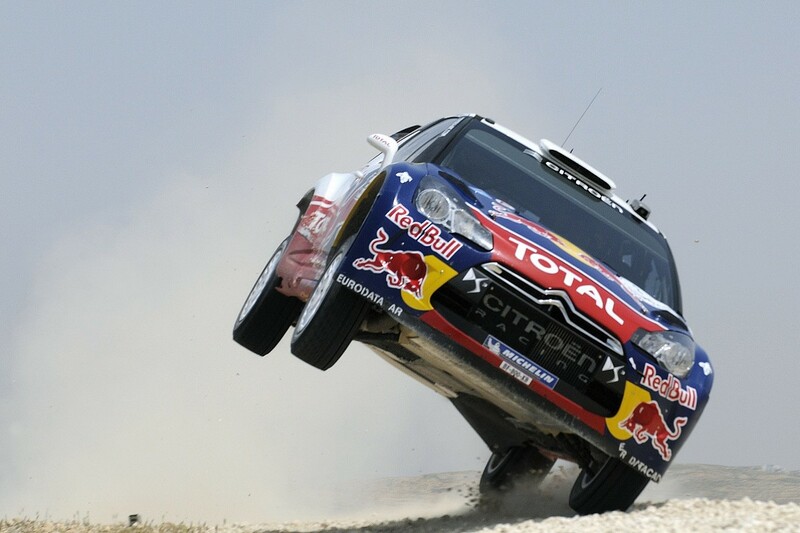 But Citroen is the future for Ogier now. At least for the next two years. 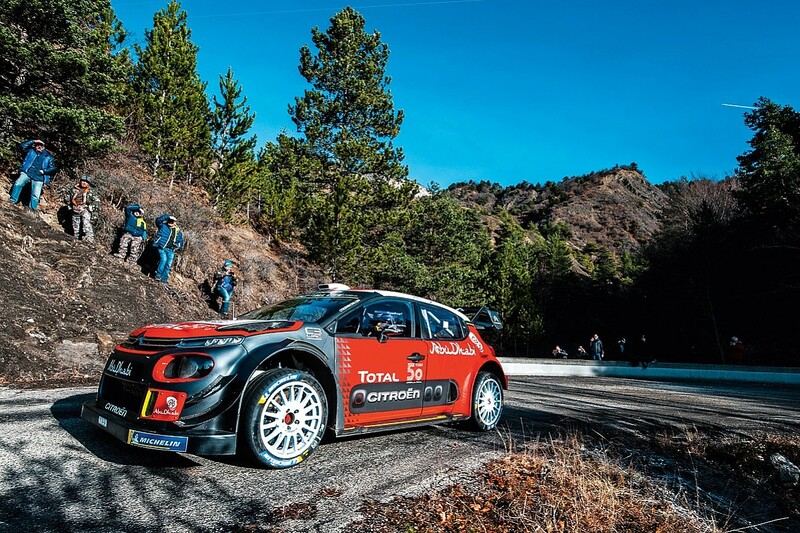 He has already said his return to Versailles represents the final act in his WRC career. Just 28 rallies remain. Should he maintain his current success rate, he would close this chapter on eight titles, tantalisingly short of Sebastien Loeb's record of nine. Put that to him and he looks slightly bemused and points out that there remains the small matter of titles seven and eight before he could even consider a ninth. 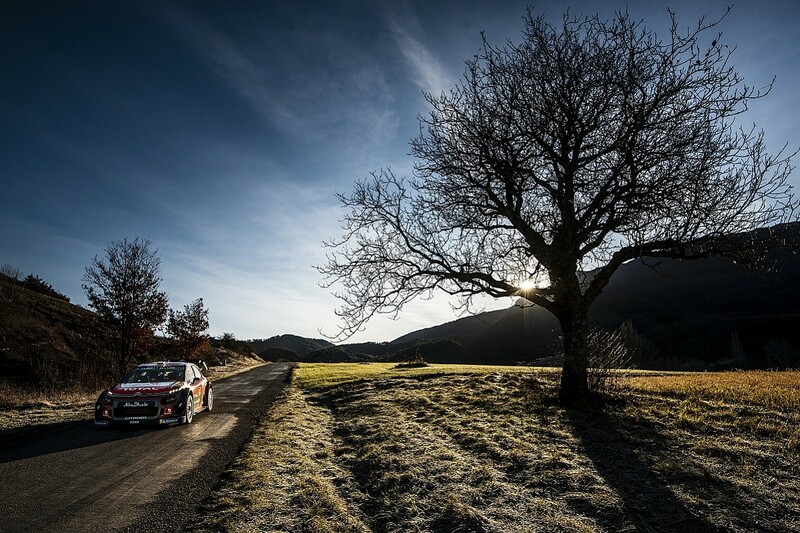 So, what's it like to be returning to Citroen, with which Ogier scored his first WRC event wins in 2010-11? "I don't know if we can talk about coming home, because it's been a lot of years since I was last in the team and a lot has changed," he says. "But it's nice to go back to a French team - I'm not used to working in French! There was a very nice welcome for Julien and me in the team and I feel everybody is really motivated by the challenge." Nobody can forget what happened there last time. Yes, it may be eight years ago, but Quesnel and Ogier were hoofed out. And, let's not kid ourselves, they were hoofed out at the behest of Loeb and then-boss of Citroen motorsport Yves Matton. When asked why it took so long for Ogier to return - why he didn't go back to France instead of taking his trip to M-Sport two years ago - he is frank. "It was probably not the right time in my eyes," he says. "Before - and I've said that already - they haven't shown me enough motivation to convince me to come back and I was happy where I was." With a degree of devilment, there's the inevitable follow-up about whether Matton's departure and Pierre Budar's arrival in his place might have had something to do with the move. 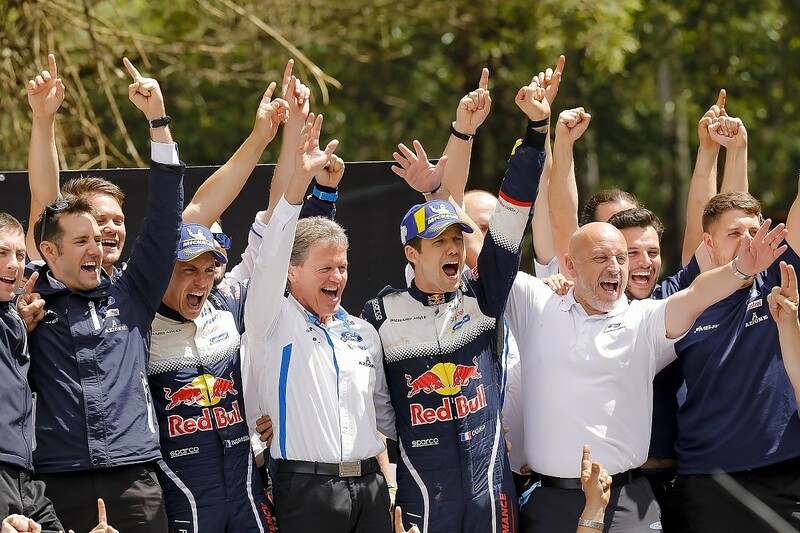 "Definitely it was important," adds Ogier. "It's no secret I was never close with Yves Matton and when you have a difficult connection it doesn't help find agreements. "With Pierre, it was different from the beginning. The first impression was good and, so far, I still like the way he is working. He has shown me a big motivation to turn things around and bring the team back to where they used to be, and one of the elements for that was to put me back in the car. I will do my best to help him." When he walked away from Citroen at the end of 2011, everything had become all too personal. This time, it's strictly business.